He last played for India in July in England earlier this year. Even as Team India is gearing up for the third Test against Australia, the selection panel led by MSK Prasad announced the T20I and ODI squads for the upcoming series. Soon after the Tests, they will lock horns against Australia in the three One-Day Internationals after which the Men in Blue will travel to New Zealand for five ODIs and three T20 Internationals. A marquee name in the T20I line-up which has hogged the limelight is of MS Dhoni who was sidelined for the series against Windies and Australia recently. He is the vital cog of the team and will play a crucial role in the World Cup despite the fact that he’s struggling alarmingly with the bat. Meanwhile, the Indian fans are missing Suresh Raina from the shortest format and are demanding for his return. The T20I squad also has the players who will play the World Cup in England in May-July next year. Only a few format specialists have made it to the line-up but Suresh Raina is missing. He has gone out of favour once again after returning to the set-up post his century in the Syed Mushtaq Ali trophy earlier this year. He was also the part of the Nidahas Trophy in Sri Lanka which India won famously and had fared decently as well. 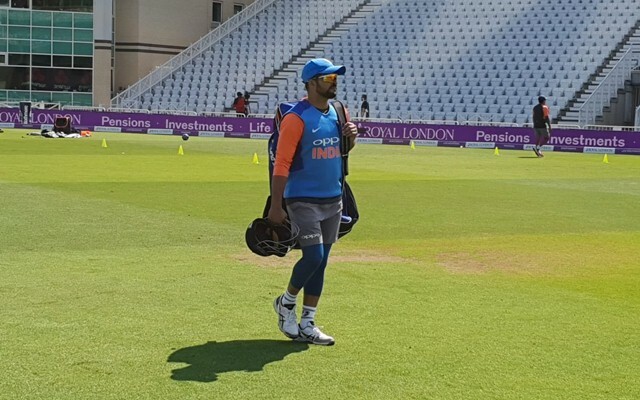 Moreover, the flamboyant left-hander had a chance to resurrect his ODI career as he was included in the team for England tour after Ambati Rayudu failed to clear the yo-yo test. However, Raina couldn’t make the most of the opportunity and was left out of both the teams unfortunately. He last featured for the country in July in England and with age not on his side, it looks like the doors are shut for him. Having said that, the 32-year-old can still make a comeback in the T20I side with KL Rahul struggling at number three ahead of the T20 World Cup in 2020 which will be played in Australia. Enough is enough. Rahul is struggling for runs, why don't you get Raina or Gill into that team.